Perfect performance skills for TV and film. Equip yourself with technical ability and performing skills. Gain experience that will launch your media career in front of or behind the camera. Preparing you for your career is at the heart of this course. You’ll develop key industry skills and techniques and gain professional practice in areas which have been identified as ‘skill gaps’ by industry practitioners, eg: multi-camera acting and directing, story-lining, project management, acting for green screen and acting/presenting for live broadcast. You can specialise as you progress and you’ll have the opportunity to pick up modules from across our performing arts and film production courses. Working alongside students from other courses, you’ll share knowledge and expertise that replicate industry projects. Alongside your practical work, teaching methods include lectures, demonstrations, workshops, seminars, screenings, group and individual projects, and independent learning. The course has been designed to include a number of employability initiatives and links to industry, which are embedded throughout the course. In the first two years, you’ll develop the core skills in screen performance, while having the opportunity to follow your own interests and specialisms to support your individual career choices. The course culminates in a major screen/media project in an area of performance that supports your individual preference and/or career interests. You will be assessed in a variety of different forms, with learning outputs mirroring industry outputs in terms of showreels, audition and on-set standards and etiquette, video essays, adverts, as well as developing essay writing, research and presentation skills. Not all option modules may be offered in any one academic year and will depend on the availability of staff and the priorities of the school. In addition, modules will usually need to be selected by a minimum number of students. Option modules may be available on more than one programme and the Programme Leaders will liaise with the Faculty Management Team to ensure there is a reasonable amount of choice in any given year. Our typical offer is 112-120 UCAS points from a minimum of two A Levels or equivalent (e.g. 1 x AVCE double award). Please prepare an audition piece lasting one minute. This should show your ability to not only to perform with confidence, but communicate with an audience. Previous applicants have auditioned with monologues, songs or dances, please select whichever you are most comfortable with. Please note that we are not looking for perfection, we appreciate you’re still developing as a performer. The part-time fee for this course is £6,935 per 120 credits. Please note that part-time courses are not available to international students who require a Tier 4 visa to study in the UK. This degree prepares you for a variety of careers in media production in front of and behind the camera or microphone. You will gain highly transferable skills in communication, presentation and collaboration with others which will be very relevant to roles in TV, new media and performing arts. 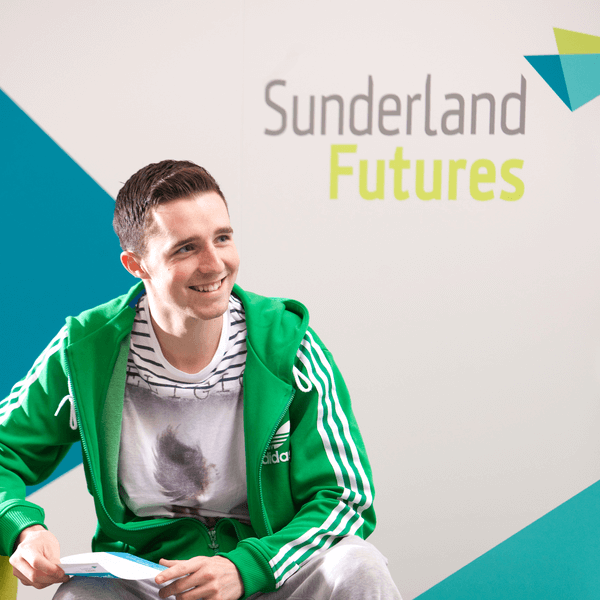 You could also choose to continue your studies with a Masters degree at the University of Sunderland, such as MA Media Production (Film and Television) or MA Radio. We actively encourage students to gain relevant work experience while at university. In every year of your course, you will be guided and encouraged to gain meaningful experience that will fit around your studies. You will also undertake a number of practical assignments, which can include live briefs from clients outside the University. You will build up a portfolio of work, to show future employers. All students studying on-campus undergraduate media courses can take up a CV-enhancing work placement, a University-led industry initiative, or a professional and business development boot camp. By the term placement, we are offering you a taste of the industry which might last anything from two days to four weeks on a part-time basis. We have excellent links with national employers such as the BBC and ITV, and strong links with regional productions like Vera and the Dumping Ground. Throughout your studies you’ll be guided and supported by our experts, all of whom are working or researching in media and performance. You’ll study alongside scriptwriters, film makers, choreographers radio producers, presenters, actors, and independent film producers who will share their experience and encourage you to build your network. We're known for excellent media facilities and have over 50 workstations with state-of-the-art HD Edit systems, including Final Cut Pro, Avid and Media Composer. We also have our own 203-seat cinema with full HD projection and a 7.1 surround sound facilities.